Can we get a fender flare thread going? All of the fender flares in this thread are sweet. Thanks guys for making want them now. 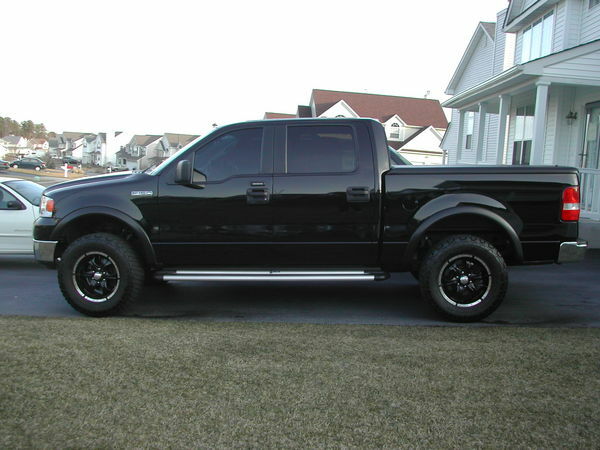 I gotta get some rims with backspacing and then the flares. Does spending money on our trucks never end? The SS flares look great, I actually purchased some, but sent them back b/c i was less than impressed with the quality of the "unfinished" flare. In test fits I couldnt see how anyone could get them to line up correctly. Larat is king's truck is actually the one that sold me on the SS flares, but I chose to trade them for the bushwackers and have no regrets. All the truck's look great though! Thanks, unfortunately (for the flares) I've got to trim the front ones when I install my new bumper that is being welded up as I type!! Last edited by ptpalms; 02-19-2008 at 08:46 AM. Here's mine. 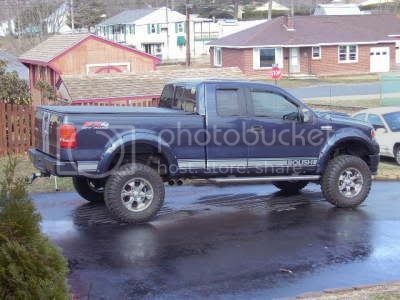 Bushwacker Pocket paid about $350 @ F150store.com paint was about $200. Badass truck! Post some more pics! Bushwacker pocket flares on a flareside. minor trimming to make them fit a flare side. they need to make pocket flares for the 01-03 supercrews id buy a set in a heartbeat! Heres mine EGR oem not painted, covers about 1.5'' $107 off of ebay. Guess I'm the only one that has taken the pocket flares off. They leave a nice permanent rub mark on the paint right where the rubber trim meets the fender. So if you want to avoid the rub marker, keep your truck pristine clean. I can't seem to do that so I am going to get my truck sprayed with line-x here real soon. Last edited by fireman137; 12-09-2009 at 02:03 AM. Anymore flares to post?!? I'd really like to see Bushwacker pocket flares on a leveled-only truck. Having a hard time deciding on mine. Some say pockets only if lifted, extend-a-flare if only leveled? 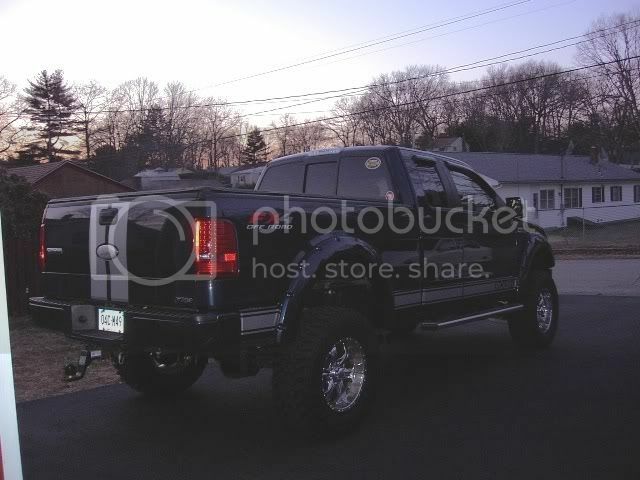 I need wider flares, tires are out a good 2-3 inches, looks like Bushwacker are about the best in this regard. Last edited by SkiDood; 04-05-2009 at 10:39 AM. Quick Reply: Can we get a fender flare thread going?